Contributions from some of Canada's leading competition litigators, focused on the advice needed to advance or defend competition cases in contested public settings. The number of competition law cases adjudicated in Canadian courts and before the Competition Tribunal continues to grow, and that growth has prompted an increased need for guidance from experienced practitioners. 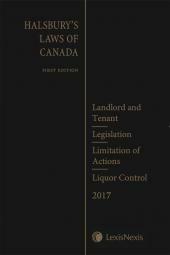 While there are ample resources that offer summaries of substantive rulings, Litigating Competition Law in Canada brings together some of the Canada's most successful and knowledgeable competition lawyers to offer practical advice on how to most effectively bring or defend competition law cases. The first of its kind, this comprehensive guide to litigating competition matters in Canada contains the information and practical guidance that private practitioners and in-house counsel need to understand when dealing with a contentious competition law case. Litigating Competition Law in Canada features contributions from Canada's leading competition litigators. They provide strategic insight into the procedural aspects of litigating a competition matter and offer examples of tactical steps counsel can take to advance their clients' positions. Nikiforos Iatrou, B.A., LL.B., is recognised by Chambers Global and other international directories as one of Canada's leading competition litigators. Formerly counsel to Canada's Commissioner of Competition from 2009-2012, he focuses primarily on contentious competition cases, and also has an active commercial litigation practice. He is known for advancing significant competition cases, including as lead counsel for the Commissioner in the CCS/Tervita matter and for Rakuten Kobo Inc. in respect of Canada's eBooks investigations. He practises in all areas of competition law, including before the courts and the Competition Tribunal, on class actions, reviewable conduct matters and mergers. 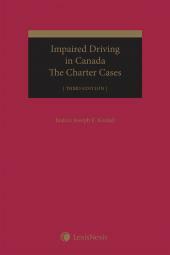 A former clerk of the Court of Appeal for Ontario, Niki is a member of Middle Temple and frequently speaks at conferences both in Canadian and internationally. He plays leadership roles in the Canadian and American Bar Associations' competition law committees. 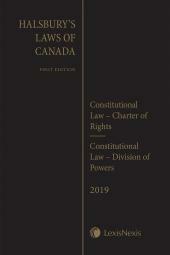 He publishes widely, has co-authored Witness Preparation: A Practical Guide with former Supreme Court of Canada Justice Thomas Cromwell and Brian Finlay, Q.C. and is a contributing author to the looseleaf service: Electronic Documents: Records Management, e-Discovery and Trial.